We regret to announce the death of Simon M. Kivati, from Nzambani village, in Mbooni Constituency Makueni County. The first born to the late Kivati Loki and the late Martha Waiku. 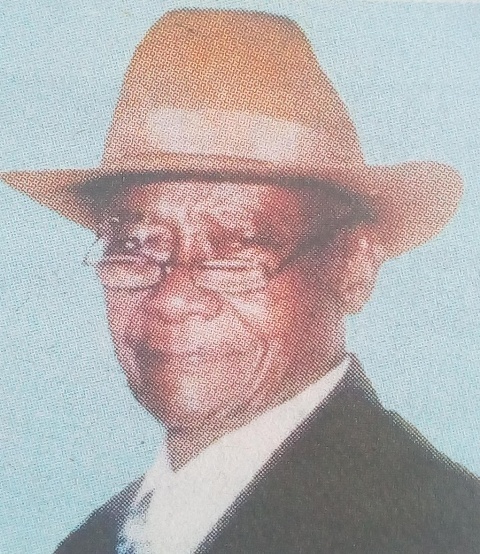 Husband of the late Elizabeth Mumbua, Esther Koki, Joyce Kamene and Mary. 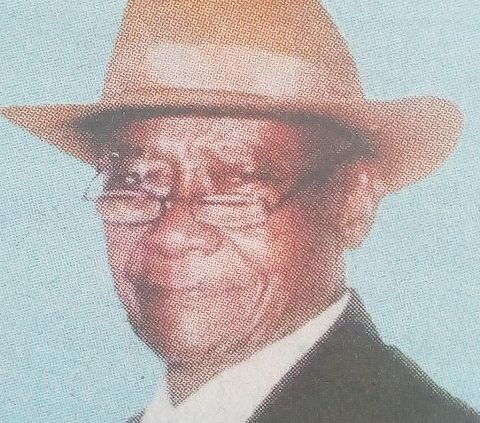 Father of the late Phillip, Cosmus, Beatrice, Sammy, the late Loki, the late Sarah, Nduku, Priscilla, Wambua, Ndei, Spinns, Kyuma, the late Ngaanga, Mohammed, Nzembi, Brettar, Mbula, Kivati, Posphone, Carol, Cynthia, Mutisya, Marietta, the late Mutindi, Waiku, Kaleli, Maitha, Mbondo, Muisyo, Mutio, the late Kaindi, Mbulo and Mutisya. Grandfather and greatgrandfather to dozens. Brother to the late Geofrey Wambua, the late Grace Mwelu, Kisilu Kivati, Moses Masyula, the late Jackson Nguku and Mutio Kivati. There Cortege will leave Montezuma Monalisa funeral home in Machakos Town on Saturday, January 16, for funeral on the same day at his home at Kativani Village, Nzambani Location in Makueni County.